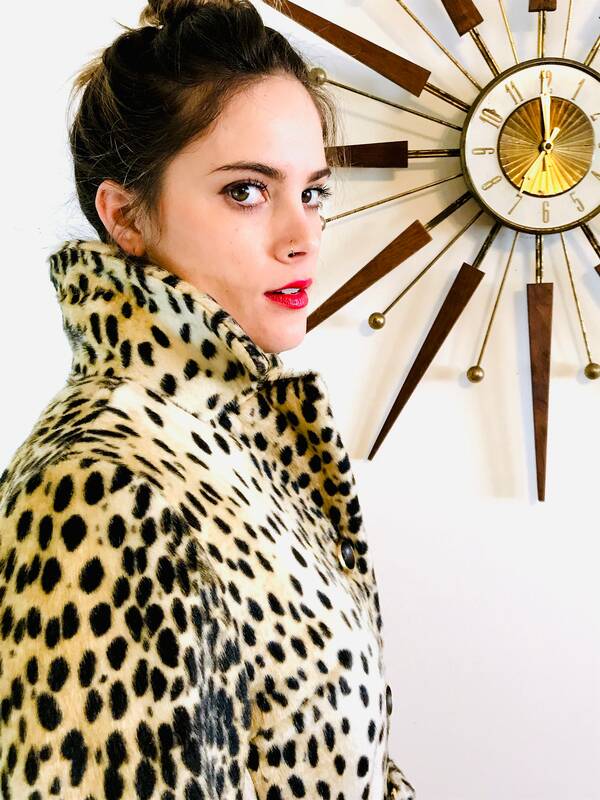 This is such a spectacular vintage Leopard coat! 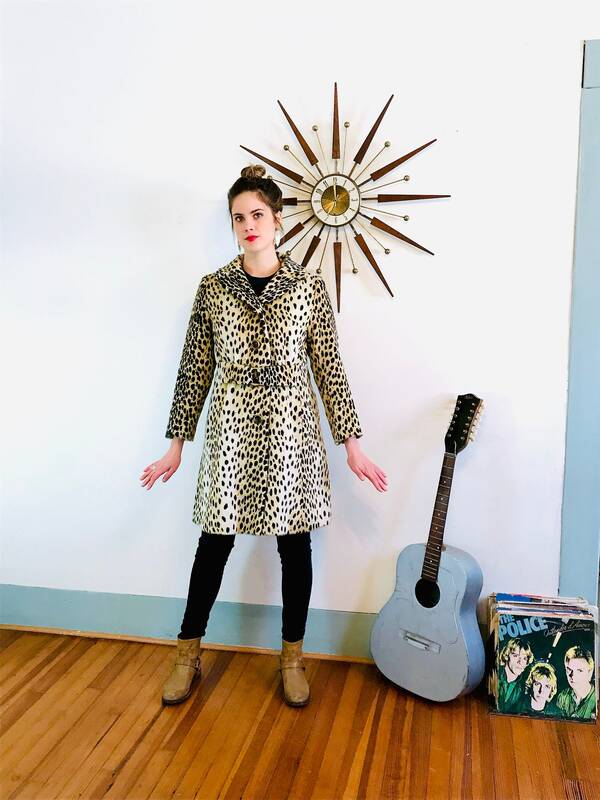 This faux cheetah fur coat was made in late 1950s to the early 1960s. 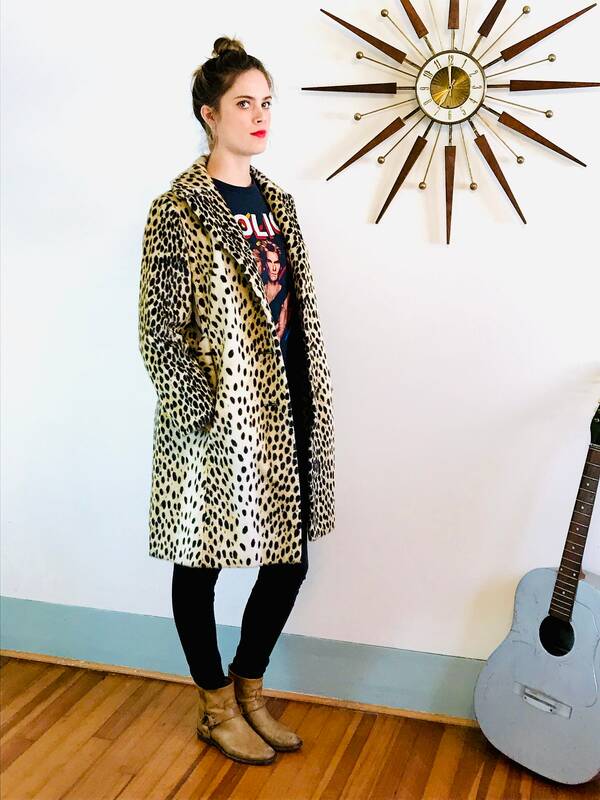 Leopard never goes out of style! 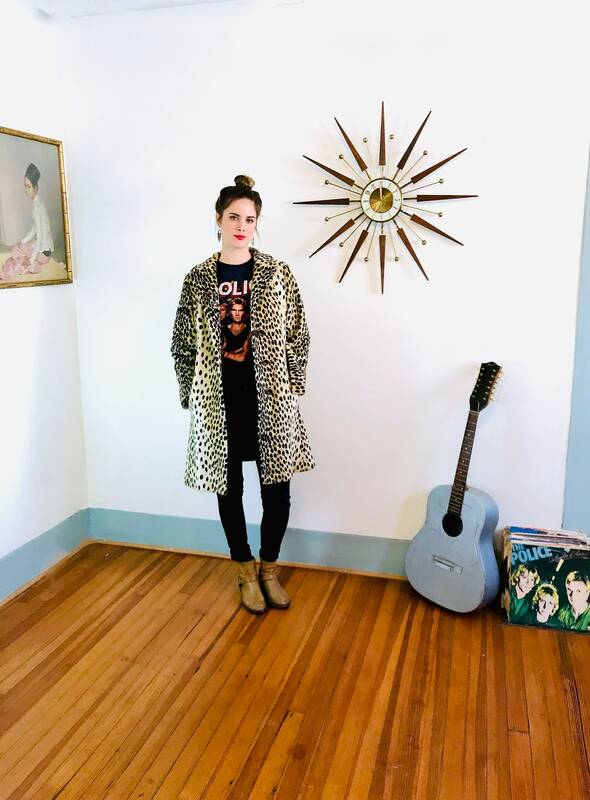 This long 50s to 60s cheetah/leopard coat has hidden slit pockets under the faux pocket flaps, and 8 gold metallic buttons down the front. 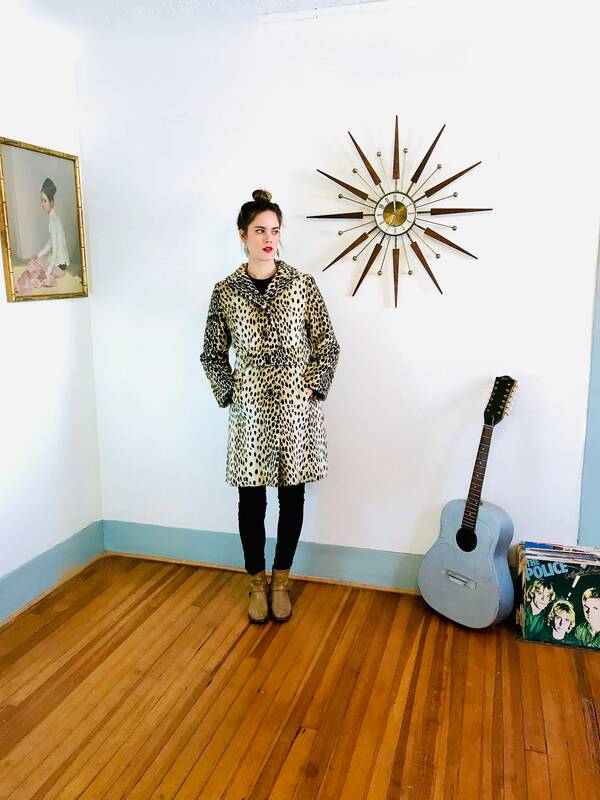 The cheetah print fabric of this coat is super slick, thick and shiny, and lays flat! 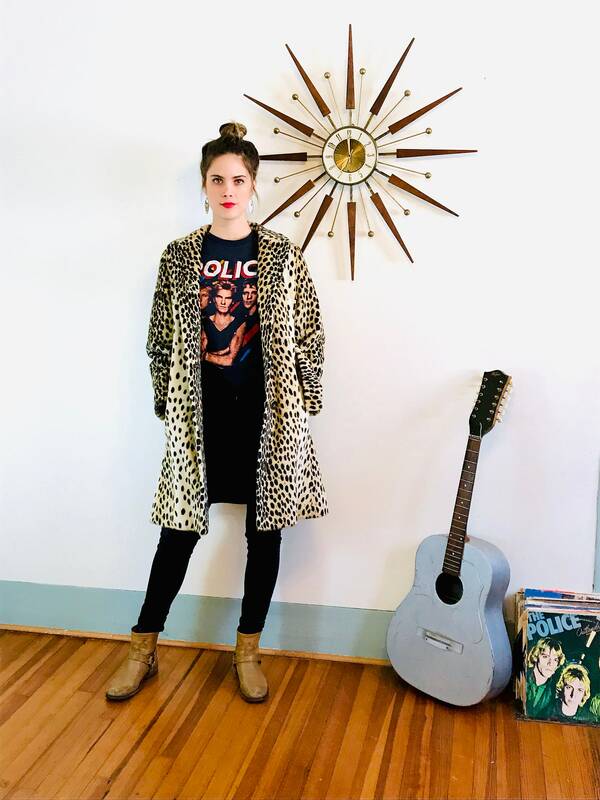 This animal print coat has a cool elasticated belt with gold accents that cinches it in tight! 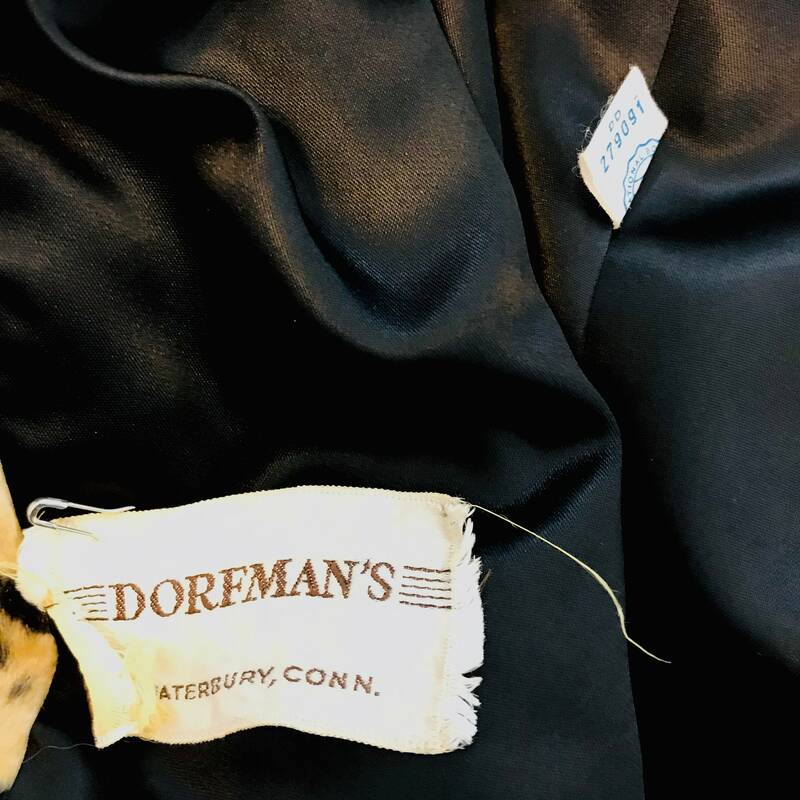 Tags: DORFMANS, ILGWU tag (dating it from 1955-1963). 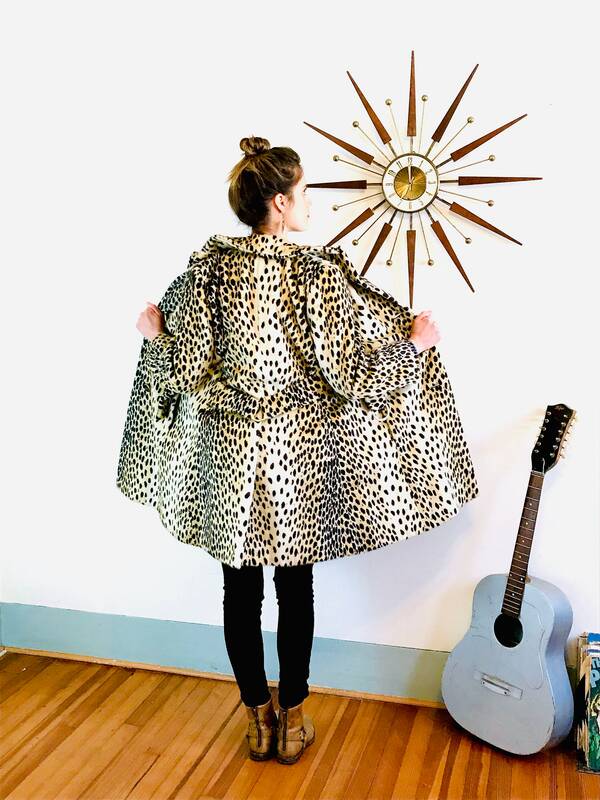 Material: faux fur shell, satin lining. 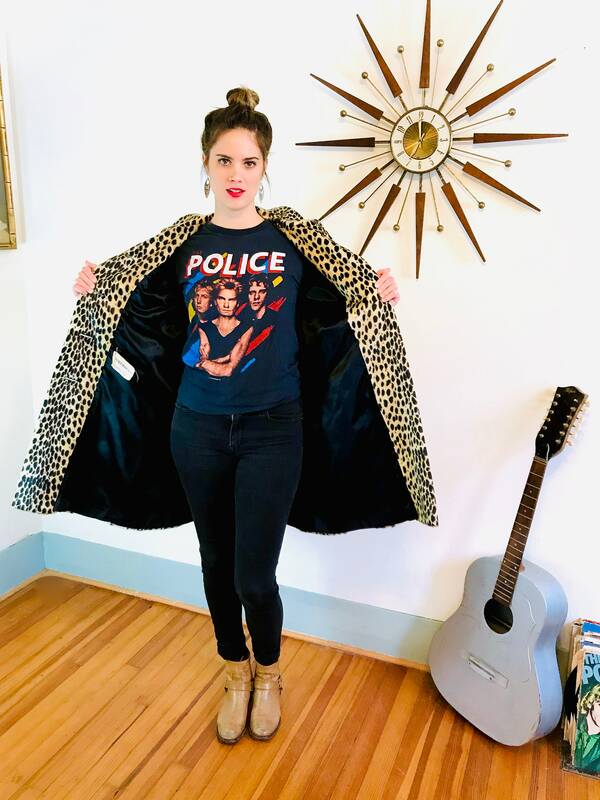 Mannequin Measurements: bust:36", waist:26", hips:36"
CONDITION: Excellent! 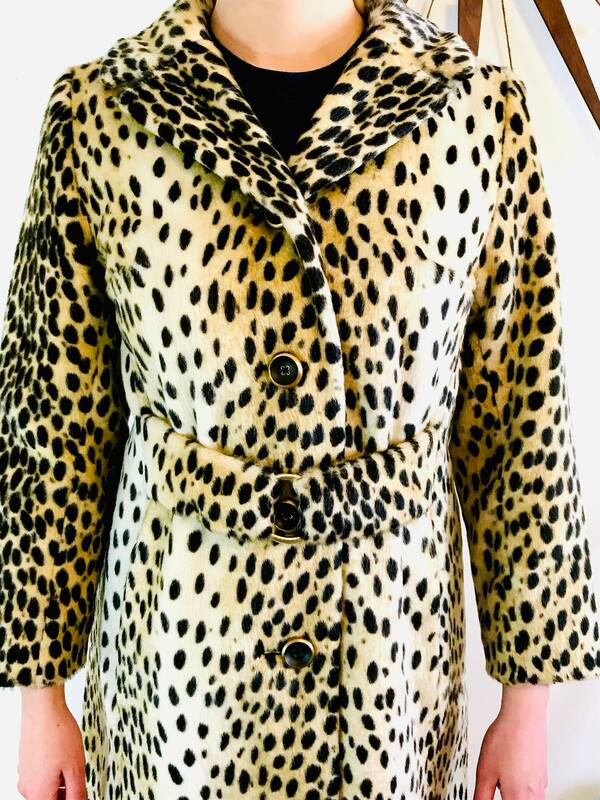 The faux fur is in perfect condition as is the silky satin lining!